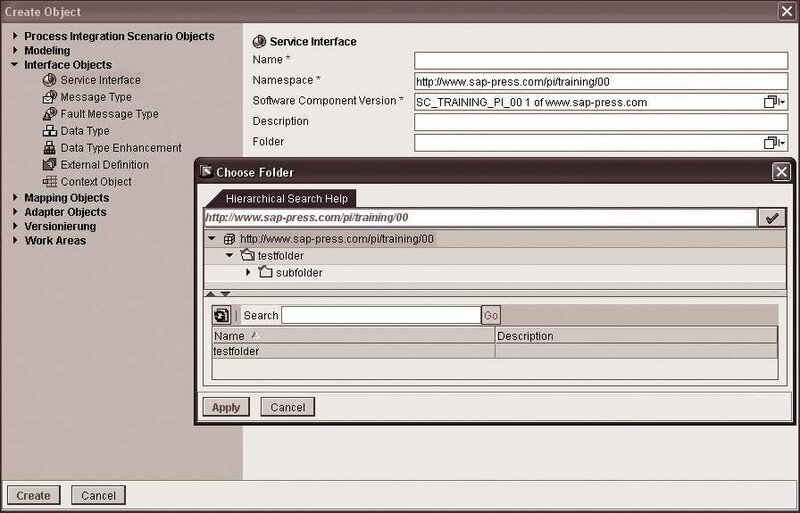 Data integration in SAP NetWeaver PI can be a complex process. 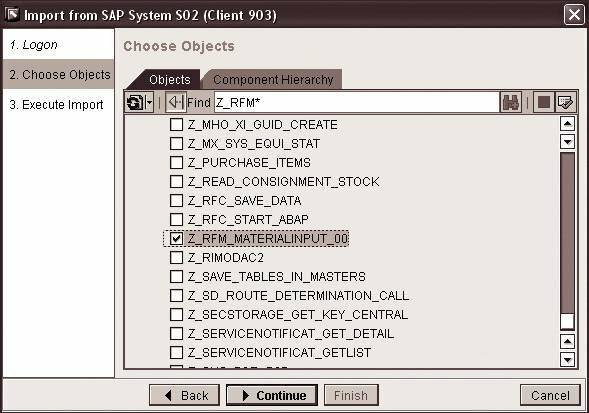 In this book chapter excerpt, you'll find out how to use ABAP programs to transfer master data via the RFC adapter to the PI system. You'll learn the basic principles of this process and read data design best practices. 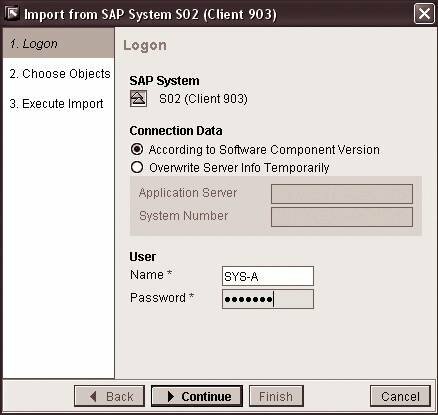 to use SAP ABAP programs to transfer master data via the NetWeaver RFC adapter to the NetWeaver PI system. You'll learn the basic principles of the RFC-to-PI data transfer process and read data design best practices. either prior to or during the course will be noted. would be implemented by the instructor. form on the website for this book (http://www.sap-press.com). The exercises deal with selected adapters and aspects of the PI environment. Various elements played a role in selecting the integration scenarios. to implement the case study. 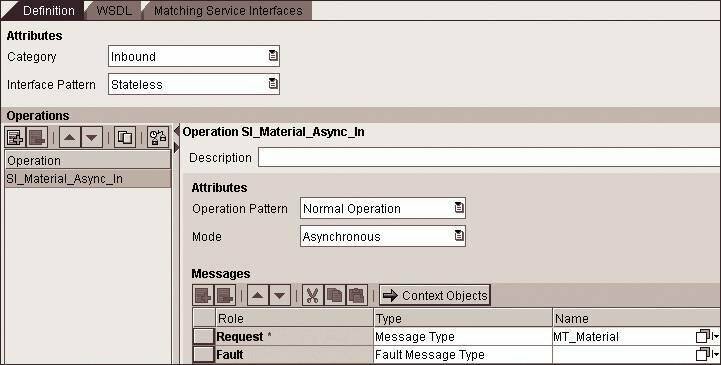 material master data is reported to the person responsible for all materials. directly on the PI server’s file system. 20 participants and 1 instructor from the book’s web page (http://www. transport, consult your landscape administrator, if necessary. will find the corresponding sample source code in Appendix A.
where ## is your participant number. transferred to the function module is contained in the calling program. second exercise, in Section 4.2.
that makes the communication asynchronous. linked to the connected business systems (system A and system B). the entry to the Enterprise Services Repository. Repository should then look like Figure 4.2.
to assign design elements directly to a folder when they are created. can choose either the superordinate or the subordinate folder. form of subfolders. These are not limited by their number. Another advantage of this concept is the authorization administration. this book, we won’t discuss it here in detail. 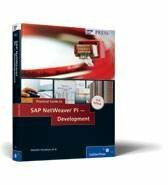 been explained in Chapter 2, SAP NetWeaver PI. that this element has not been activated yet. hierarchy level), which, in this case, is the data type. 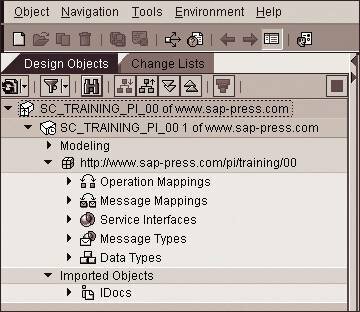 see a similar structure later when working in the Integration Directory. Builder, it is used to explain some functions. data type after all of the elements have been inserted. familiar creation dialog box is displayed, this time for a message type. however, this involves the risk of typos. version for selection. The Name and Namespace fields are then populated. hand can you ensure a correct data transfer. the structure and save the message type. category; the individual categories were discussed in Chapter 2.
and then save your service interface. mapping that connects a pair of inbound and outbound interfaces. the former because no response is expected. The left part of the center area now lists the elements of the RFC interface. 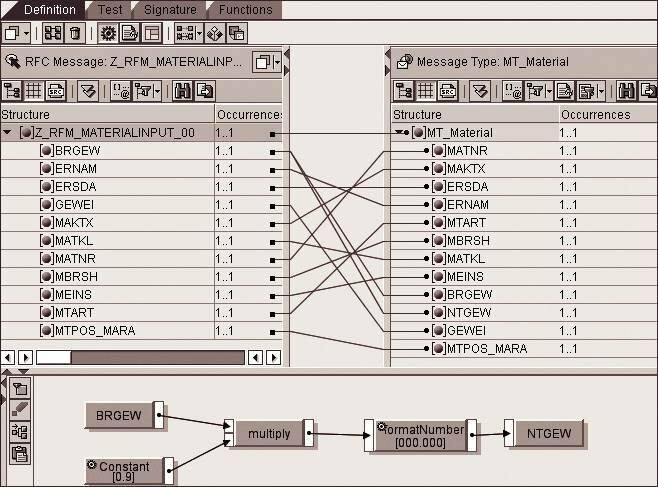 For the receiving part, select your MT_Material message type. 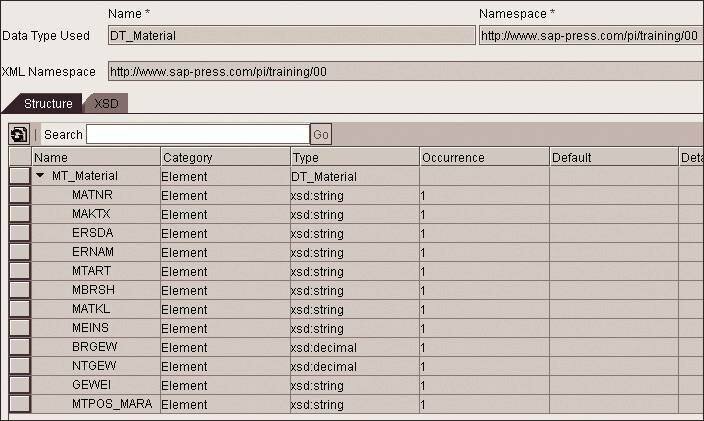 column when creating a data type, the default value of 1..1 is applied. are displayed in the lower screen area and connected automatically. types then move apart and give way to the display of connection lines. automatically provided with a value. weight with a constant of 0.9.
these functions would be sufficient for calculating the correct net weight. verify whether the NTGEW element has been populated correctly. object. Create it by clicking the Create button. will communicate with each other and which message types are used. for the same message pair. mapping after it has been successfully tested. entire Enterprise Services Repository, even though they were not activated. Directory in this state, so the next step is to activate your change. you will find a Standard Change List containing all newly created objects. that the new objects are not yet activated have disappeared. You can also activate individual items via their context menu.